The Sutherland family lineage begins with Freskin who was granted lands from David I of Scotland. Freskin was born before 1166 and was of Flemish descent. The name Sutherland is a derivation of Suidrland, a title which Hugh de Moravia held in 1214. 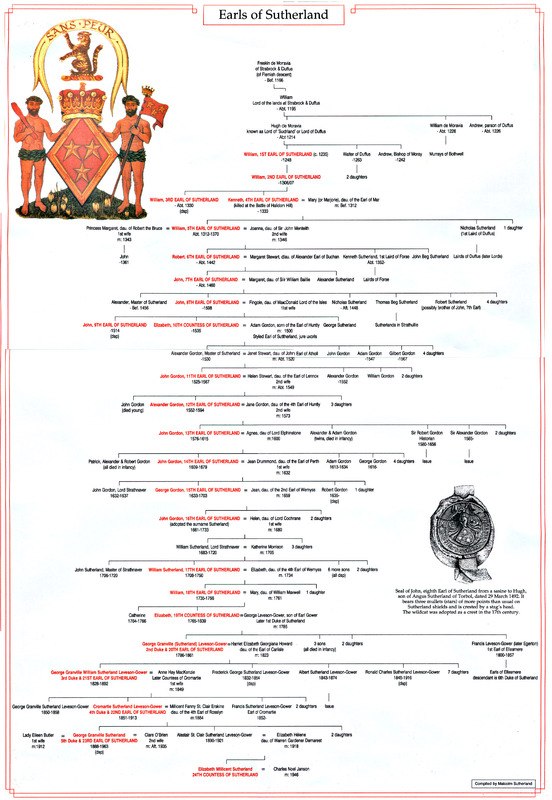 This Sutherland family tree was compiled by Malcolm Sutherland in 1998, and is offered for sale at Dunrobin Castle. Note that one of the sons of William, First Lord of Sutherland, was named "Walter of Duffus."